Minnesota far-right Republican Rep. Michelle Bachmann has declared she will not run for a fifth term in 2014, and is making the dubious claim that her decision has nothing to do with that ongoing ethics probe into her campaign fund-raising in the 2012 race, or her falling poll numbers. No, she is a newfound convert to term limits. This is about as believable as some of the gaffes, misstatements, anti-science positions, conspiracy theories, not to mention wobbly grasp of both American history and world geography, she displayed on her ill-fated quest for the 2012 Republican nomination. She even managed to make Texas Governor Rick Perry look both sane and slightly enlightened. Let’s relive some of the self-proclaimed Tea Party leaders more colorful, unforgettable gaffes, the first of which may be her assertion that she never made any gaffes. 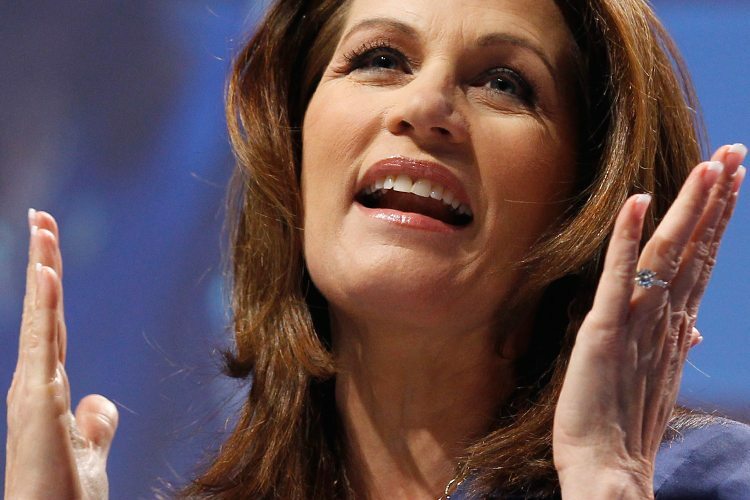 That Perry Thing: Bachmann attacked Gov. Rick Perry for mandating that young girls get the HPV vaccine, claiming that it caused not just promiscuity but mental retardation. Unintelligent Design: Bachmann stated her firm support for the teaching of so-called Intelligent Design, and said the scientific community supported it too. She advocated that it be taught in schools so that students could decide which science they want to believe (pseudo or actual). Headscratcher: During a debate about health-care reform in 2009, Bachmann suggested reform would lead to abortion field trips. Huh? Turn of Phrase: She also called Planned Parenthood “The Lenscrafters of Big Abortion.” Again, huh? ANyone know what big abortion is? Mixed Metaphors: Bachmann called the tax code a “weapon of mass destruction” and suggested abolishing it. Gangsta Rap: Bachmann called the Obama Administration a ‘gangster government,’ in the context of healthcare reform, of course. Paranoid Dreams: She said Obama was turning the country into a nation of slaves, and accused him of trying to brainwash our youth with re-education camps. Also, by the way, did you hear? The census is a conspiracy. Debate Flub: Mentioned both Libya and Africa, pronounced them correctly. Failed to realize that Libya is in Africa. Okay, that was hard, keeping that to ten. Let’s not forget how she assigned herself the task of responding to the State of the Union address, then spent the whole time disturbingly looking into the wrong camera. Bachmann has not ruled out a return to politics some day.